Usage/ Application: These displays are great for displaying a lot of product in a small area. 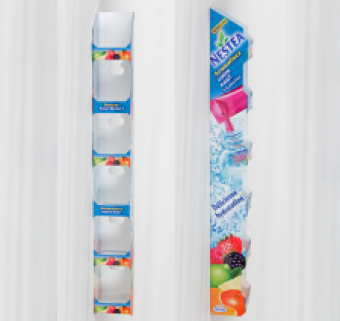 Special features: The partitioned display keeps your products upright as products are purchased and can also be used for more than one product sku when products are of similar size. 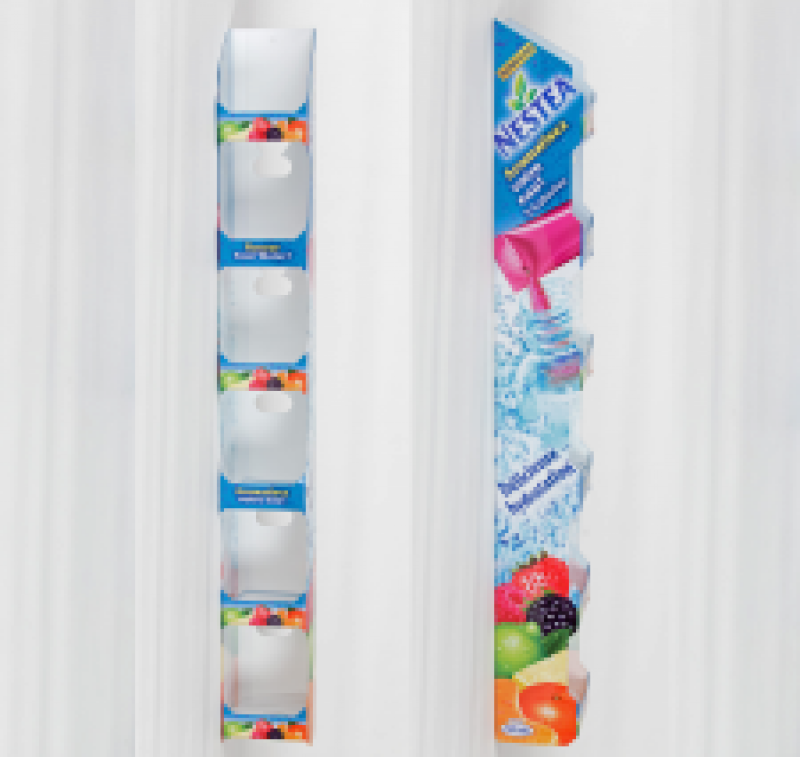 This type of display can hang on display wall, be a counter top display or attach to end caps and shelving racks. These units offer high visibility of your product for maximum consumer impact. Usage / Application: Gravity feed clear plastic cartons are best utilized in the tobacco, pharmaceutical, food, confection and candy markets. Special Features: These packages are custom designed to your specifications. They can be placed on store shelving, end caps or at the checkout. Usage / Application: This design is a unique option for candles and a variety of other products were ease of display and sale at the cash register is paramount. Special Features: In this case, the counter top display also acts as a shipping package before unfolding to the counter display. Custom designed for your product, these transparent cartons allow for printing, silk screening, foil stamping, addition of labels to complete your branding. Special Features: Our standard literature and brochure holders can be custom designed to your specifications and can be branded for your promotional use through printing, embossing or labelled.